From 8/1 to 8/7, I was the guest editor at the website One Week One Band, and drew 28 brand new comics about the excellent band Guster. Drawing 28 comics in one week is awfully tiring, so from 8/8 to 8/12, Little Boys Room will update with 3 guest comics over at the Facebook, Twitter, and Tumblr pages. 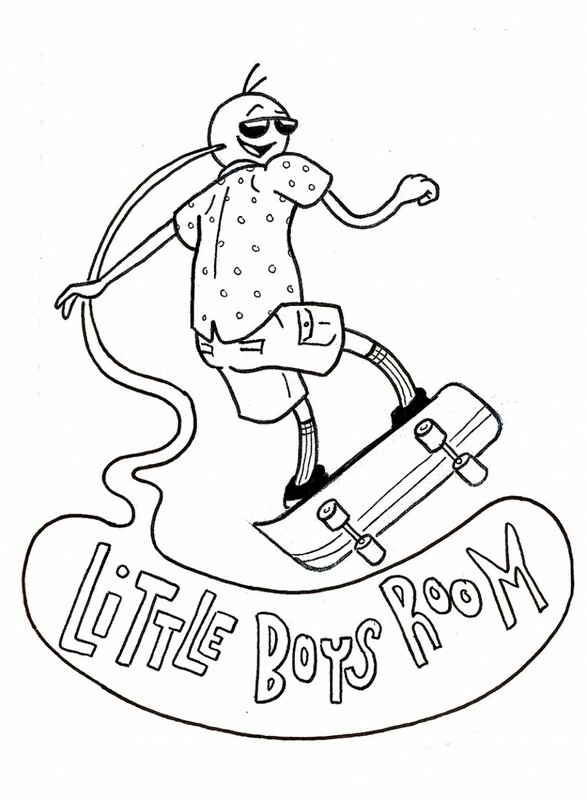 Official new Little Boys Room comics will return at 8/15, but until then you’ve got plenty to read! Yes, what you heard is true. I’ll be taking a break from regular updates until August 3rd. After 270 new comics, I need a break!! In the meantime, you can check out the Little Boys Room Facebook Page for a BEST OF month, where older comics will be dusted off and brought into the light of day once again. And you could donate to the Patreon in order to get exclusive cool stuff. Do it, idiot! I’m happy to provide you with the most up-to-date membership list for the FRIENDS OF THE MONTH CLUB. If you’d like to be one of the FRIENDS and get all sorts of fun, exclusive content, head over to the Patreon page!